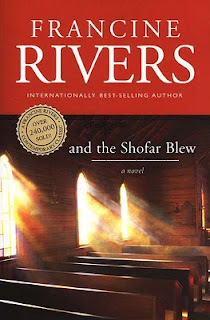 One of the most provoking works of fiction that I have ever read is And the Shofar Blew by Francine Rivers. It was published in 2003 and having read one of her other books, I picked it up on a whim and read it. In the subsequent years that have passed, I have re-read it a couple of times. Recently I picked it up again and read it for a third time. This time I had a pen and underlined a number of places in the book that can serve as jumping off places for blog posts in the next several days. If you are involved in ministry in any form, it is a very worthy book to be read and then ruminated over for the rest of your life in ministry. So as not to totally spoil it with a lot of details, it basically is a story of a young man who is called to take over a dying church who allows a maddening personal ambition and uncrucified dark motives to destroy him. The first lesson that boldly stood out to me was the gradual deceptiveness of the gravity of human means. H. B. London of Focus on the Family gave some statistics about those involved in various forms of Christian ministry of all denominations some time ago. He noted that 1500 men left the ministry on a monthly basis. Five years after commencement fully half of the men who graduate from seminary are no longer involved in ministry. Another major denomination asserted that for every twenty men who enter ministry only one would still be involved by the age of 65. They gave up despite all of the energy and effort they spent on education, training, and adapting to the call. Various reasons were given in the statistical study for their exits of public ministry. Health reasons, personal issues, others may determine that they misread the initial calling, and some give up because of the monumental stress that is placed on them. Others are forced out by their churches and determine never again to allow themselves to get into a position to be hurt again, so they walk away. Some give up in discouragement, others give in to frustrating challenges, and others give up because of the constant nagging feeling of failure. For some money becomes an issue—either the heady pursuit of it or the bitter gnawing battle of not having enough. For some, immorality derails them. For others, ministry becomes a power struggle. This can take place on a local level in a local church or it can be a pursuit of power through the positions that denominational work may offer to them. For these men, political twists and turns become the sole motivation of what they ministry is all about. Those who find power to be a temptation have to become adept at manipulating and jockeying for position so that the seat they occupy is safe from attack. The struggle with pride also hammers them. Paul Hudson, the major character in this story, struggled with every single one of the issues that have been listed. As he pursued the building of his own personal kingdom, the more he had to resort to political and human workings to build something that would ultimately fall apart. A recent Twitter that I received noted that far too many pastors have come to fill the roles as a CEO or board chairman rather than that of a humble shepherd. At the outset of the story, the heart of Paul is soft, humble, and open to hearing the voice of God. However, it was not too long into his role of pastor, two or three years at most, that he had started an ominous change that would destroy him. He got so busy building his kingdom that he neglected the priorities of the inner life. The longer that you are in the ministry the more that you must understand that the joys of ministry begin to turn into assignments and responsibilities. This is why it is crucial to know that the ministry is not a sprint but rather a marathon. You are either making progress in your personal ministry or you are slowly becoming an enemy of the Cross. The longer you are in ministry the more you realize that every day you run across people who have empty buckets that have to be filled, if the well-spring of devotion does not find itself being replenished, you will find yourself being poured out in such a way that soon depletion will destroy you. One of the paradoxes the Lord mentioned was that the Kingdom of God was going to be built only when our heart was like that of a child. Life and ministry will get complex, especially if a church starts growing. However, you must still maintain the discipline of a personal devotion on your heart. You have to make some choices about what to do with that situation. Far too many men buy into the idea of a messiah complex who believes that if they weren’t there the whole thing would implode. 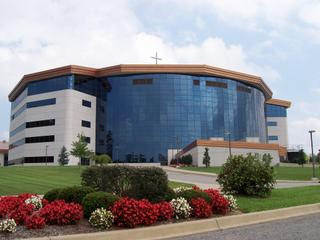 The real test of ministry is this; if the church implodes, you built it! If it lasts, God built it; you just happened to be a worthy servant for Him to work through! Those who fall admit after the fact that they quit reading the Bible and they quit praying. Prayer and devotion to the word is the life-source of ministry and you have to make sure that the ministry does not keep you from Jesus! There is a barrenness of busyness! 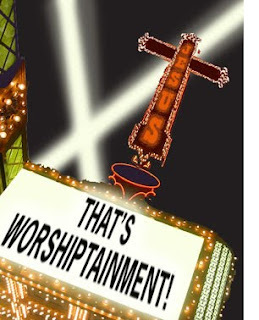 Paul Hudson soon learned that there were complainers in the congregation and he let them get the best of him. I will never forget a number of years ago when a physician I worked with (George Veale, M.D.) gave me a very good piece of advice. We (he more than I) were having to deal with another recalcitrant, obstreperous, arrogant physician (and every other adjective you can think of to describe him) who was not a happy camper on that day. In fact, I think the guy only had three or four happy camper days per year and he had already exhausted those when he found us. But Dr. Veale told me, “Philip, that guy just isn’t a happy guy!” Most chronic complainers are not happy campers and you will have to ignore their gripes and come to realize that they complain everywhere they go. Restaurants, department stores, and so forth seem to be in the complainers sights at all times. Paul Hudson let those complainers turn him into a cynic and his heart began to harden. Tie that up with less time in prayer and the Word and disaster is lurking. Another element of gravity on the down grade put Paul Hudson into a place of professionalism. The more professional he became the more that style gave way to substance. He allowed the shortcuts to sink him. This is where technology can become disastrous to us. 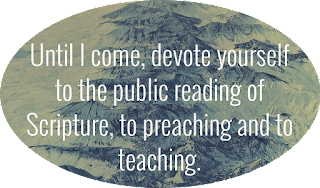 You can download sermon notes, MP3 sermons, and Powerpoints and use them without ever having to do anything spiritual again. But as the shortcuts are embraced, increasingly shallowness will rob your soul. For the last two weeks, I have found that 1 and 2 Peter in the ESV has been more than just words on the page of the Bible. There are words that Peter left us that can stimulate great spiritual growth in our lives if we will allow the Word to transform us. Do it for yourself and do it for me. . . Go somewhere and find a closet of prayer and open up your Bible and mark up 1 and 2 Peter. . . Your life and ministry depends on it. . .